From the Company’s inception, Allen Hirschfield has served as President and Chief Executive Officer. He is one of America's most respected sales agency practitioners and has served as a board member for many years as well as president of NAGMR, the National Association of General Merchandise Representatives, as Chairman of the NAGMR Scholarship Trust Fund, and as a frequent participant in various Manufacturers' Broker Advisory Committees. He has also been guest speaker to a number of corporate sales forces whose managements have decided to add the services of manufacturers representatives, as well as to the Proprietary Manufacturers Association and other respected trade groups. 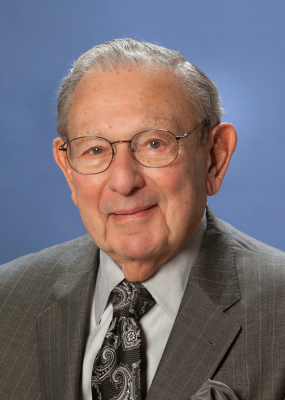 Allen Hirschfield graduated from Northwestern University in 1948 as an advertising and marketing major. After graduation he joined a steel company in East Chicago, Indiana as advertising coordinator with their Chicago based agency, and shortly thereafter moved to that company's brokerage department, buying and selling carloads of steel and scrap iron. In 1950 he joined a family business that manufactured health and beauty aid products, but after a few years determined that management would not modernize their approach to a changing trade. Hirschfield met Peter Pankow in 1952, when he accepted a sales position at a manufacturer's representative company where Pankow was Sales Manager. He soon became a member of management and after three years was invited by one of that company’s principals to become Vice President of Sales. With national sales responsibilities, Hirschfield called on major drug and food accounts across the country and worked with sales agents in every territory in the United States. Within two years that company was absorbed by a publicly held cosmetic firm, and at the same time, Peter Pankow left his prior association. Thus was born the partnership known as Pankow Associates. In 1985 Peter Pankow retired from active participation in the business.